Session, and he also line item vetoed a couple of other bills. These bills range from defunding the Public Integrity Unit because the Travis County District Attorney is a convicted criminal and a drunk driver who brings discredit to the office, to protecting the integrity of the State Board of Education, to not allowing the Lilly Ledbetter bill to go forward because it is already federal law and it would be redundant and would end up keeping women from getting hired according to some experts. 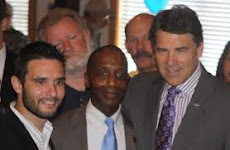 Then of course last month Governor Perry already vetoed SB 346 which many believed was a bill that Joe Straus was going to use to target conservative non-profits who speak out against him for such things as not being pro-life.